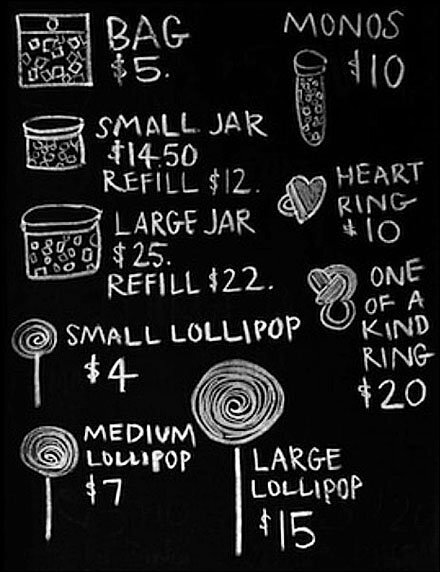 Simple illustrations add appeal and impact to chalkboard candy pricing. No art degree required to get this kind of immediacy in almost any retail environments. Here the blackboard theme might even tie in with the child-appeal of candy.